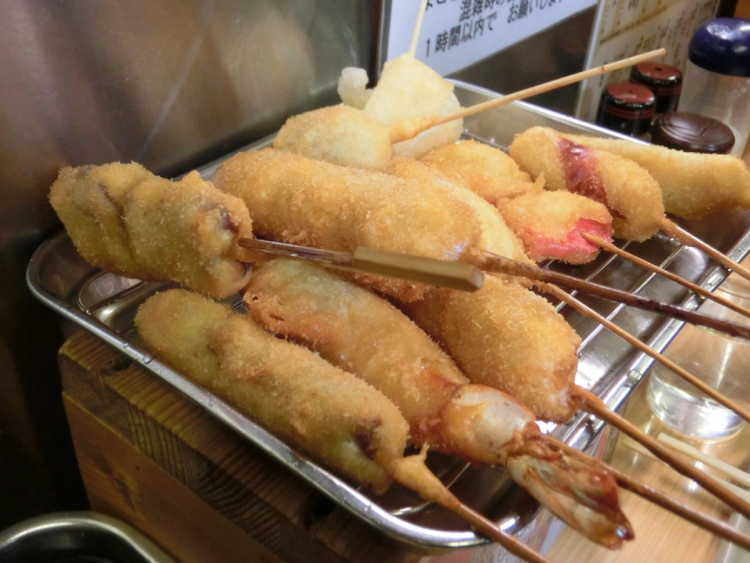 Kushikatsu is a specialty food of Osaka, and you must eat once when you travel in Japan. 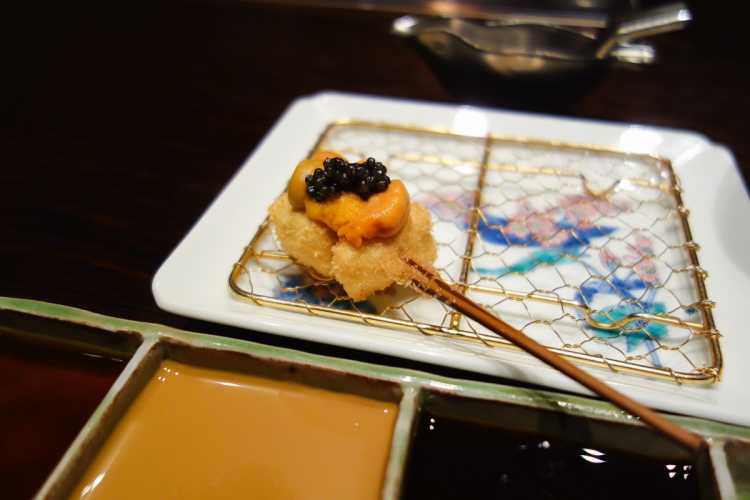 Then, we selected best Kushikatsu restaurants such as 'Bon' and 'Daruma', from 'special places to travel in Japan' posted in City's Pride by travelers and the locals who actually have been to Osaka. 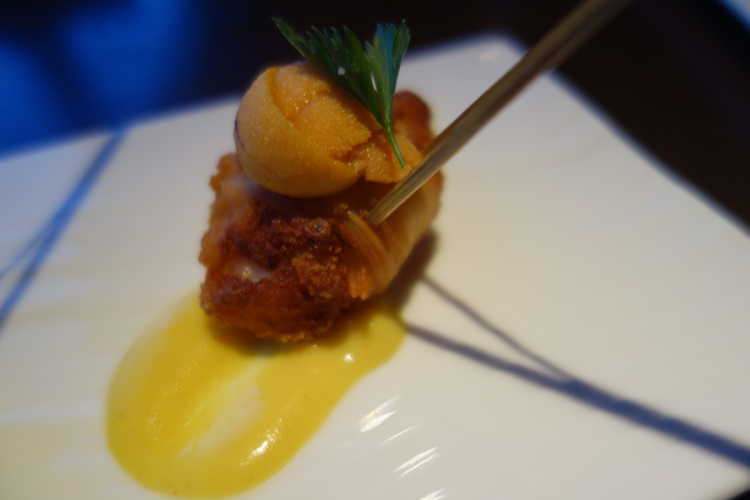 One Michelin-starred and popular Kushi-katsu restaurant 'Bon' in Kitashinchi. They use rich foodstuffs like truffle and sea urchin egg, and wrap the ingredients gently with fluffy coating. People say this restaurant is the most eminent in Osaka, an authentic town of kushi-katsu!◎They offer best ones until guests say stop. I think the food would be 12000 yen & drinks, but it changes. 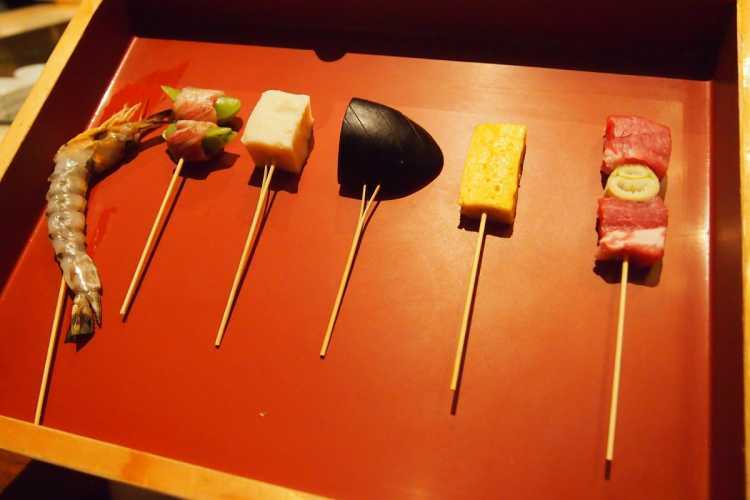 Creative kushi-age (deep fried food on skewers) of first-rate foodstuffs such as sea urchin eggs, a prawn, an abalone and foie gras. They make the most of the foodstuffs simply, or sometimes pursuit the new tastes. You can enjoy Osaka gourmet and a fine view at this nice restaurant. They're so particular about the oil and sauce that we can eat the fried pork very lightly. Be careful eating to much and don't dip in the sauce twice. Kushiage (skewered and deep fried food) is a local specialty in Osaka. When you want to eat quality one, visit here! Duck meat with mustard, pork fillet with miso, you can eat creative kushiage here. An excellent restaurant of Osaka food, kushi-katsu in Kitashinchi. The chef makes around 20 kushi-katsu one after another till you call a halt. Rich and many kinds of foodstuffs like fillet, crab and sea urchin eggs wrapped in thin and quality coating of batter. 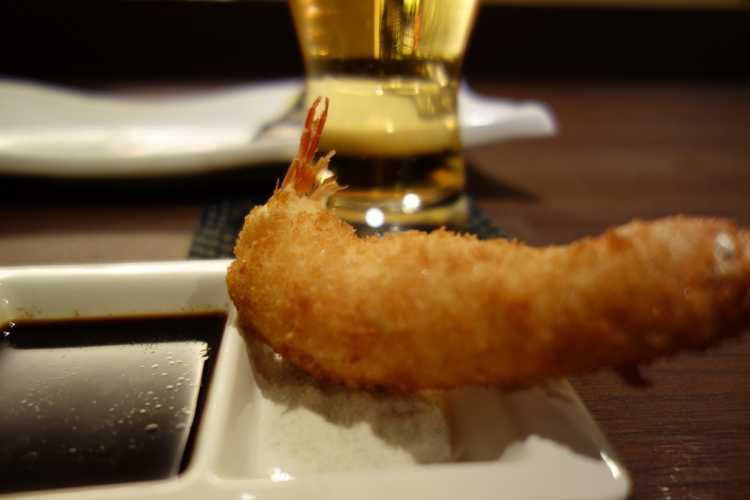 You may eat these kushi-katsu almost limitlessly. 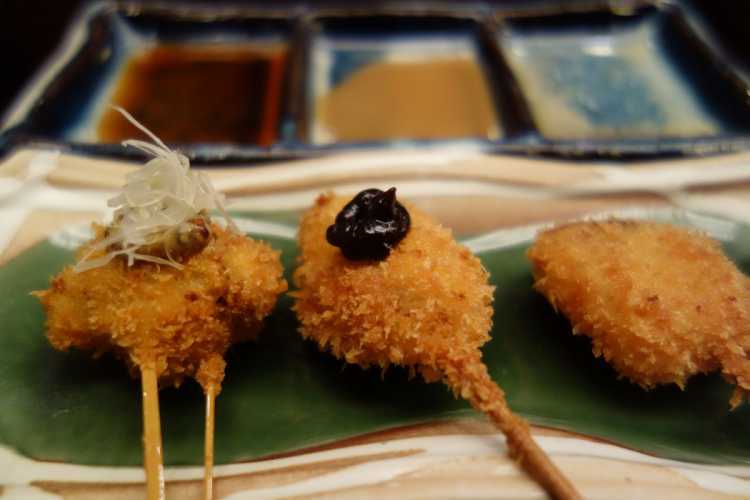 Their kushi-age(deep fried skewered foodstuffs) is refined taste and made elaborate to become a wonderful dish.